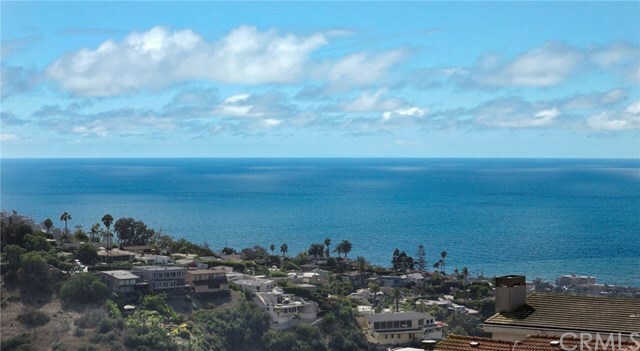 Breathtaking panoramic views from hillside to ocean sunsets. This new 2018 remodel designed with an open floor plan that offers abundant light and indoor/outdoor lifestyle to enjoy Laguna's fantastic climate. Beautiful glass entry door leads to a large great room featuring 15 foot ceilings and over 50 feet of sliding doors that open to a spacious 700 square foot ocean view deck for relaxing or entertaining. With approximately 3,600 square feet of living space, special features include 4 bedrooms, 4.5 baths and separate family/media room. The open chef's kitchen with high end appliances: Subzero, Wolf and Bosch, white cabinetry and wonderful Ariel quartz countertops. Located in Mystic Hills on a quiet street-to-street lot it is only minutes to the village with its beautiful beaches, boutique shopping, diverse restaurants and renowned galleries.